The news from our neighbors next door is tragic. On Tuesday a Fairfield police officer shot and killed an attorney, ending a violent domestic assault involving his wife, 3 children, a baseball bat and knife. Domestic violence knows no age, gender or socioeconomic bounds. Or town borders. In the aftermath of Tuesday’s carnage, a number of Westporters contacted me. Some had ties to the family; others have worked for years with social service or domestic violence agencies. They hope that out of this tragedy, more people will be aware of the issue. Verbal, psychological, emotional: Your partner uses insults, put-downs, name calling or mind games to humiliate, confuse or make you feel bad or guilty. Isolation: Your partner controls what you do, where you go, who you see and talk to, what you read, activities you are involved in, how you dress. Economic: Your partner controls all the finances, makes you ask for money, gives you an allowance, demands an accounting for every expenditure, prevents you from getting or keeping a job. Coercion and threats: Your partner threatens to leave you, take the children, report you to welfare, commit suicide, hurt someone or something you love in order to control you. Intimidation: Your partner uses looks, gestures or actions that are threatening to you. Physical: Your partner hits, slaps, pushes, kicks, shakes, strangles or uses any kind of physical force against you. Your partner harms or destroys something you hold valuable, including pets or treasured objects. Sexual: Your partner rapes you, hurts you or forces you to perform acts against your will. Your partner may use one, several or all of these forms of abuse in any combination to control you. The abuse may start out very slowly and increase over time so that you may be unaware that it is happening. It may start as verbal or emotional abuse and become physical. The physical abuse may become so bad that your health and life are in danger. Any kind of ongoing abuse between adults will have a seriously negative impact on children in the household and may result in damaging psychological, emotional and behavioral problems. 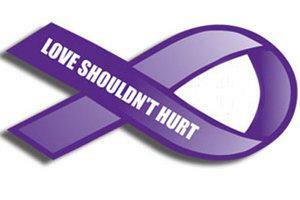 If you are a victim of domestic violence or know someone who is, and you are in immediate danger, CALL 911! Domestic Violence Crisis Center offers a 24-hour hotline at 888-774-2900, There are many links to information, safety planning and information on safehouses. EsperanzaCT provides Spanish-speaking victims the same services with a 24-hour hotline at 888-774-2900 OR 203-663-6641. Connecticut Coalition Against Domestic Violence also offers links to resources and publications. Meanwhile, a GoFundMe page has been set up to help the family with what is expected to be $200,000 in medical and other expenses. As of this morning, nearly $165,000 had been raised. Click here for more information, and to contribute. This entry was posted in Children, Organizations, Teenagers and tagged Connecticut Coalition Against Domestic Violence, domestic violence, Domestic Violence Crisis Center, Fairfield domestic assault, Westport Police Department. Bookmark the permalink. Perhaps, as well as domestic violence, there is more to consider about this complex tragedy. I believe Mr. Andrews had been suffering from depression after the death of his brother in the 9/11 attacks, and more recently the death of his mother. As with domestic violence, there seems to be a general reluctance to speak openly about depression. Considering the precipitating factor of 9/11, as well as the commonality of demestic violence and mental health issues, I believe this is a tragedy we share as a greater community, not only as the town next door. There is a service Sunday evening at 6:00 pm on the green at the Fairfield Town Hall. Thanks, Dan, for writing about this, and giving us all the opportunity to consider the multiple issues which may have led to this carnage.